"java.io.FileNotFoundException: The 'Modeler Module' module is missing. Please add it to the modules catalog and try again. The 'Modeler Module' module is missing. Please add it to the modules catalog and try again." When i tried to add a module in configuration- add module nothing happens. So i can't add a module in module catalogue. Someone could help me. Can you post a screenshot of the Modules Catalog window which appears when clicking on the 'Modules catalog...' entry of the 'Configuration' menu ? 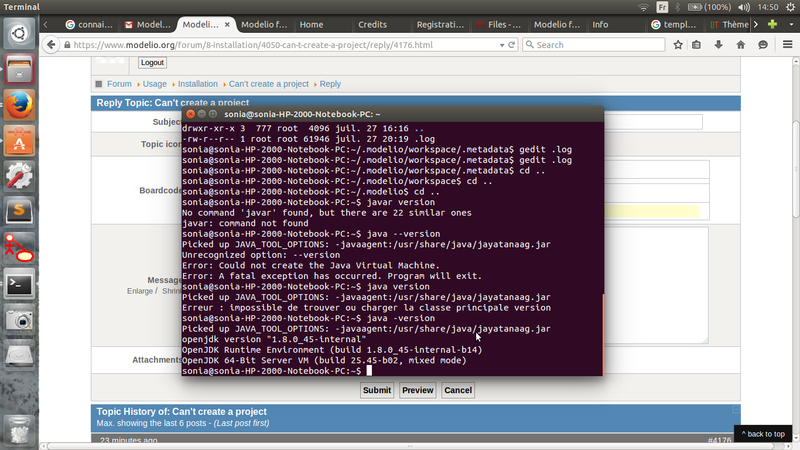 Modelio 3 needs a JDK 1.8, and according to the log your system runs a 1.6 version of the JDK.